So, when we come together for Mass we make a “memorial” of Jesus’ self-sacrifice on the Cross and of his Resurrection. Here the Lord becomes truly present under the forms of bread and wine as his Body and Blood, Soul and Divinity – the Sacrament of the Eucharist, or the Blessed Sacrament. The Mass links our lives with the person of Jesus Christ as, with Christians of all traditions, in all places and in every age, we give thanks to God the Father through him. That is what ‘Eucharist’ means: thanksgiving. Therefore, the Mass is the beating heart of the Christian life – its ‘source and summit’ because here, in the forms of bread and wine, Christ truly meets with us and here he gives himself to us as ‘the Bread of Life’ (John 6:35), our strength for our Christian journey, and a foretaste of the heavenly banquet in which we will, through God’s mercy, share for all eternity. Chrisitans (who have been confirmed or admitted to Holy Communion) are warmly encouraged to receive the Sacrament of the Eucharist as often as possible. 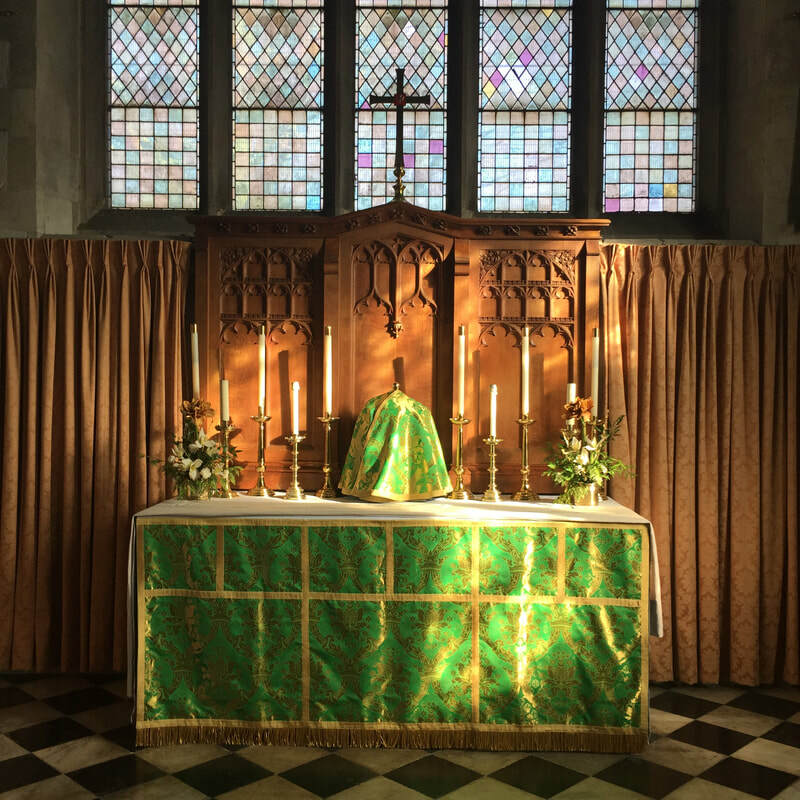 For this reason, we celebrate Mass most days of the week (either at All Saints' or at St Thomas') – more simply on weekdays, and with greater solemnity, incense and bells, on Sundays and feast days. Everyone is always very welcome! My Jesus, dearest treasure, hail! With Thine own Self in form of Bread.